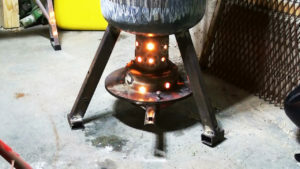 DIY Video: How to build a Homemade Gravity fed ,Drip Waste Oil Heater for your Garage . Really Efficient…..Good heat. Previous articleDIY Videos :How to generate Free Power for the rest of your life by building a Micro Hydro Electric Power system and kiss the Grid system goodbye. Next articleHow to set up a Complete Off the grid living System using Solar and Wind Turbines . Make your own Power and never pay for electricity again.